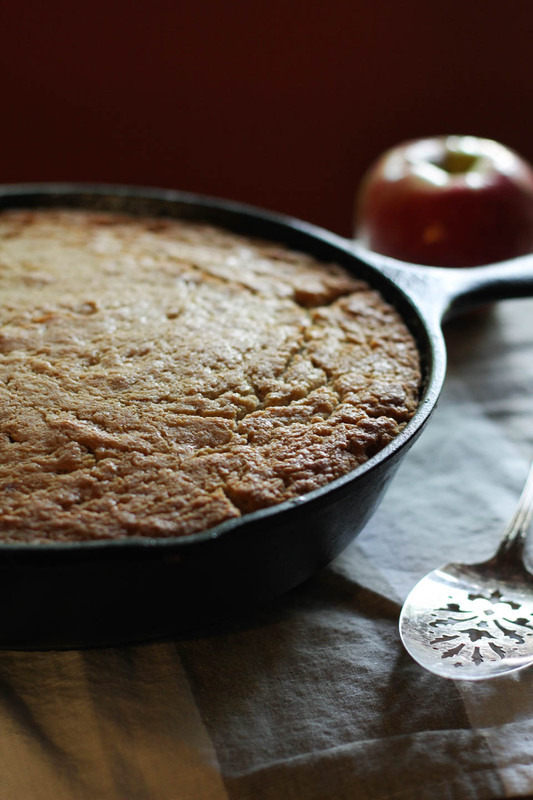 Talk about Fall apple goodness baking! It’s totally here and I am happy to welcome it for the next several months. Apples in a cake equal Fall right? They do to me all Fall and Winter long! Aside from the occasional frozen berries or stone fruit I stash away, it’s all things apples. 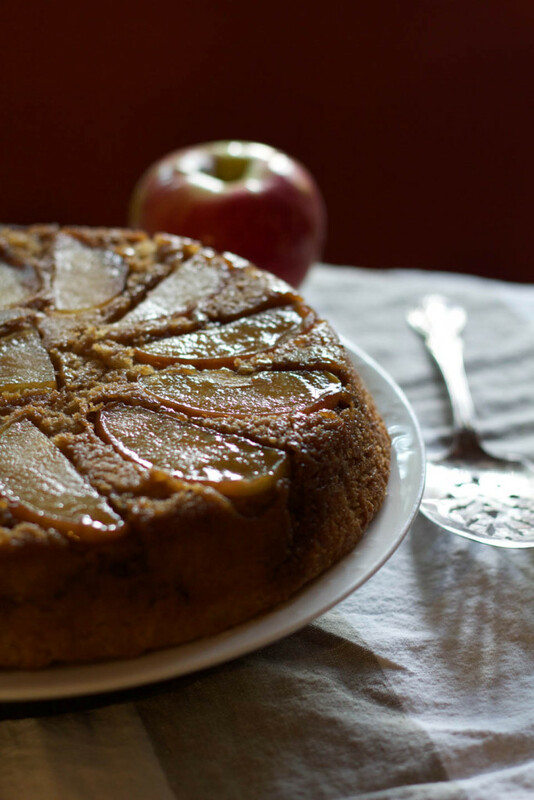 Brown Sugar Upside Down Apple Cake is a major good decision if you have never made one. I make a brown sugar caramel in the pan before adding gorgeous honey crisp apples and of course the cake batter to bake. 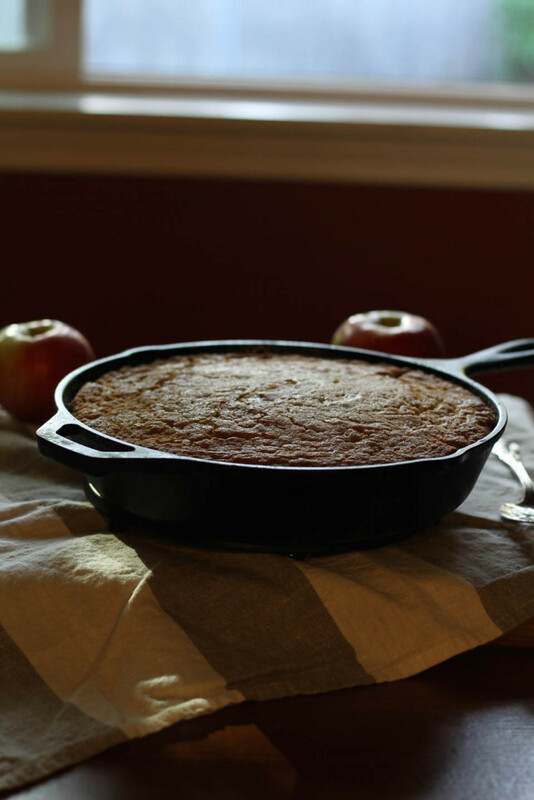 The brown sugar adds the perfect deep sugar molasses flavor to the baked cake, it’s like eating a caramel apple, but better! I promise. I make apple cakes every year, but this one is always a must. I add cinnamon too, another ode to Fall baking. It’s the simple things like this that make the house smell soooo good, just add a warm tea and a blanket, call me good to go. I’ve also been known to add cinnamon sticks to water on the stove to add just the perfect scent to the air. It reminds me of baking and this cake. Simple things, always the best. I’m also embracing the changing light and maroon wall on the one side of my studio where I do all of my photos. I thought I could work with it for this cake. Who knows what I’ll do next week, but I loved it for these photos! It’s a cinnamon kissed, super fluffy, tender crumb with a glorious flavor of brown sugar caramel. I will be sharing this cake treat on ABC’S KATU AM Northwest Wednesday November 14th from 9-10am! Tune into my monthly segment and learn extra tips to this fluffy goodness. optional toppings: whipped cream, creme fraiche, mascarpone- I like it without a toppping. pan note: I made this cake in a 10 inch cast iron pan. You could make the caramel in a separate pan, pour it into an oiled or buttered cake pan or pyrex, then add apples, then cake batter. If a different size, make sure to adjust baking time. Place oven rack in center of oven, and preheat to 350 degrees. 1. In a large bowl combine flour, sugar, baking powder, cinnamon, baking soda, and salt, whisk to combine. In a medium bowl combine buttermilk, grapeseed oil, eggs, and vanilla, whisk to combine using a fork. Pour buttermilk/oil mixture into flour. Using a spatula, gently combine, do not over mix. 2. 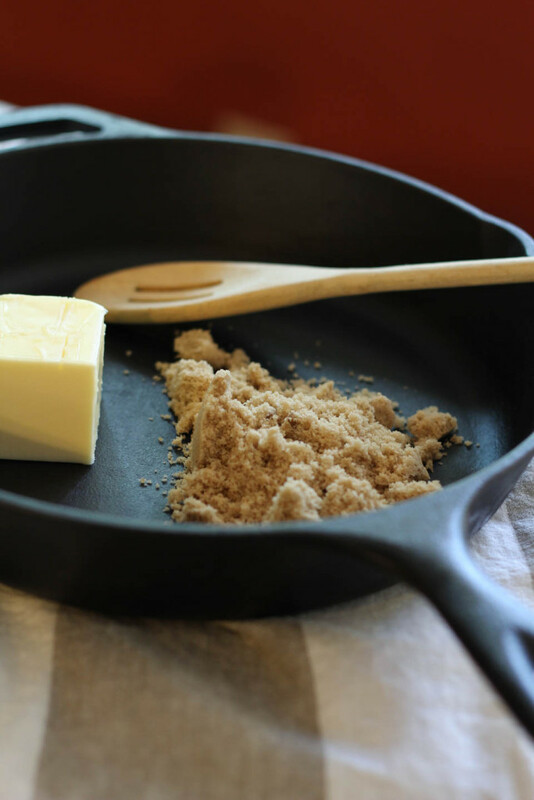 Place a 10 inch cast iron pan over medium heat, add butter and brown sugar. Stir until the sugar dissolves and cook for 3 minutes. Turn off heat, add fruit evenly throughout pan. Pour cake batter over fruit, do not stir. Place in oven and bake for 45 minutes, or until clean toothpick from center of cake. I love apple cakes and upside down cakes! This turned out so pretty, almost too pretty eat. I did say almost! 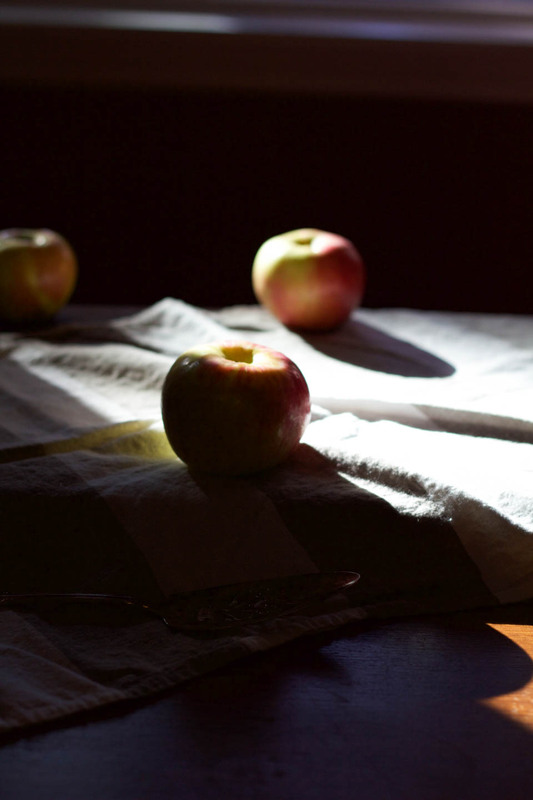 This looks delicious – especially with the apples. It’s the perfect cake for fall. I love upside-down cakes and this looks delicious! Gorgeous! My skillet is so underutilized. This is one good reason to dust it off and fire it up! I believe you need to make this every apple season. It looks amazing and I love skillet recipes too! That is so cool that you will be on TV with this recipe! You will need to share the link when that happens. This looks absolutely outstanding! I still haven’t made an upside down cake!!! This looks so awesome, I’m going to have to!